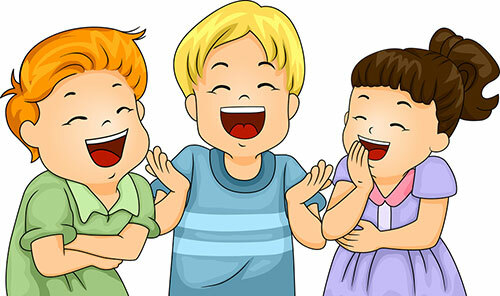 Laughing is the best medicine and research shows that laughing is the best form of therapy. So let’s not waste time and get right into these funny questions that are sure to get your lips curving and giggling. Do you know why Alabama is the smartest state in the US? Don't know the answer? Well how about you this question, what goes on and on and has an ‘i’ in the middle? Read and find out the funny answers to these questions and get that happy wrinkles working! Do you know where the tadpoles change? Alabama the smartest state in the USA, guess why. ANSWER: Because it has 4 A's and one B! Which hand is the best to write with? ANSWER: Neither one of them - it's best to write with a pen or a pencil! Can you tell what sort of an animal a slug is? ANSWER: A slug is a snail with a housing problem! Who was the first to invent underground tunnels? Which Elizabethan sailor could stop cars in their tracks? Name the most slippery country in the world. What can you find at gift shops in the streets of Paris? Name the kid of fishes that can't swim. ANSWER: All the dead ones! Can you name the strongest bird? Eleven birds sat signing on the branch of a huge tree. A hunter shot the first in the row. Now, how many birds are left on the branch? ANSWER: None! After one bird was shot, they all flew away! A monkey, a cat, and a little bird are racing to the top of a coconut tree. Who do you think will get the banana first, the monkey, the cat, or the little bird? ANSWER: None of them! Because you can't get bananas from a coconut tree! When do you go at red and stop when you see green? ANSWER: When you eat a watermelon! What goes on and on and has an i in the middle? What do you give a dog that is hot? ANSWER: Mustard and some ketchup if you prefer, they are the best for a hot dog! Where do bulls receive their notice papers and messages? ANSWER: On the bull-etin board! Why did Tweety go to see the doctor? ANSWER: To get a tweetment [treatment]! What did the stamp say to the envelope when they met for their first date? ANSWER: You stick with me, and I will take you places! Do you know why the joke about the block of butter was kept under wraps? ANSWER: Because it would spread if you talked about it! Why does the leopard find it difficult to play hide and seek? ANSWER: Because the leopard is always spotted! What was wrong with the wooden car with wooden wheels and the wooden engine? ANSWER: It just wooden go [wouldn’t]! What is the best thing to call a pile of kittens? ANSWER: You can call it a meow-ntain [mountain]!! What is green and sings its heart out? What kind of nails do carpenters hate to hit with their hammers? ANSWER: Who wouldn’t know that, Fingernails! When do Potatoes from around the world change their nationalities? ANSWER: When they turn into ‘French’ fries! How would you describe a hail? ANSWER: Hails is hard boiled rain! What language do people speak in Cuba? ANSWER: A myth is a female moth! ANSWER: An archaeologist's career is always in ruins! What is the noisiest game in the world? ANSWER: Squash - because you can't play squash without raising a racquet! Why do birds fly south when winter arrives? ANSWER: Because it's too far to walk the distance! Have you wondered what holds the sun up in the sky? ANSWER: That’s what the Sunbeams are for! Which country do hamsters come from? ANSWER: They come from Hamsterdam! Which is heavier, a full moon or a half-moon? ANSWER: The half-moon is heavier because the full moon has more ‘light’! Which town in England makes the most terrible sandwiches? Why are goldfish an orange- red in colour? ANSWER: The water turns them rusty! To whom did success come before work? ANSWER: Because their names weren’t easy to spell! What animals are on every legal document?